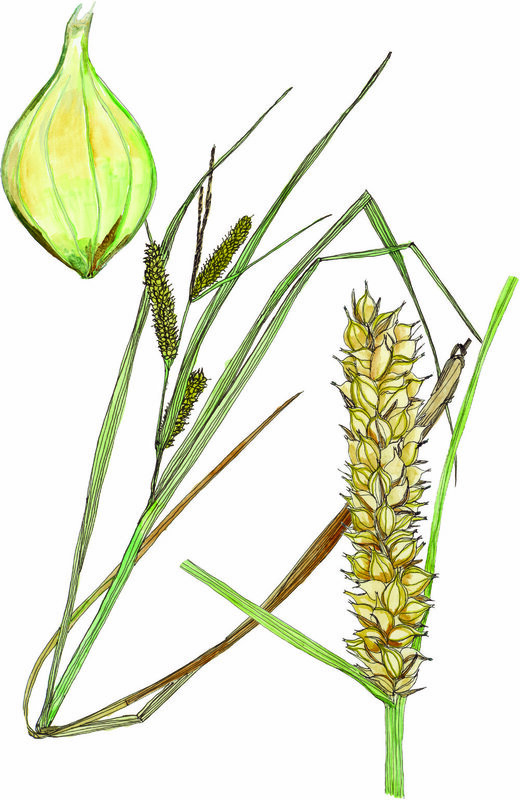 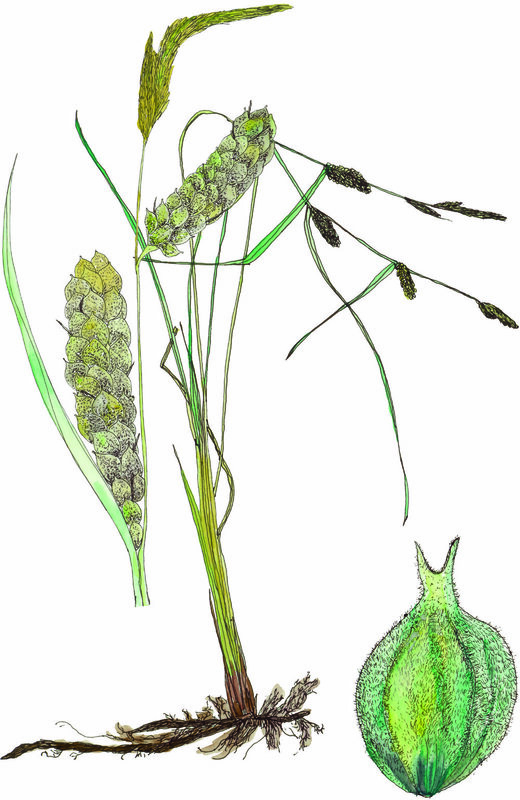 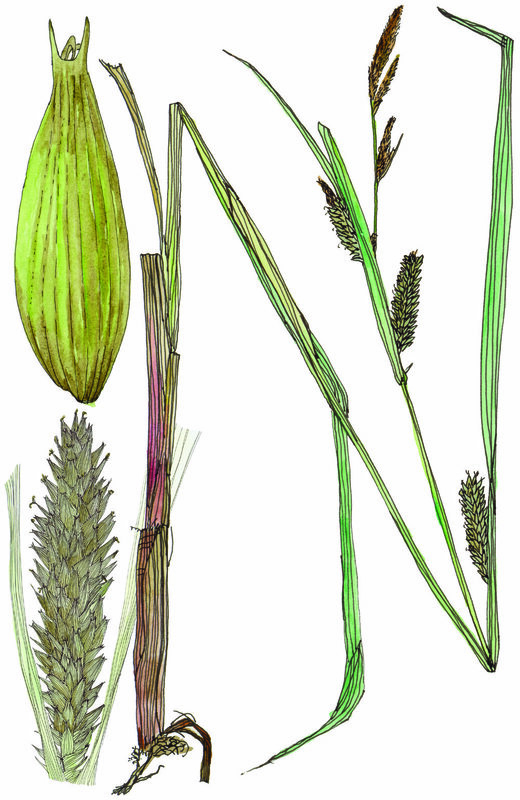 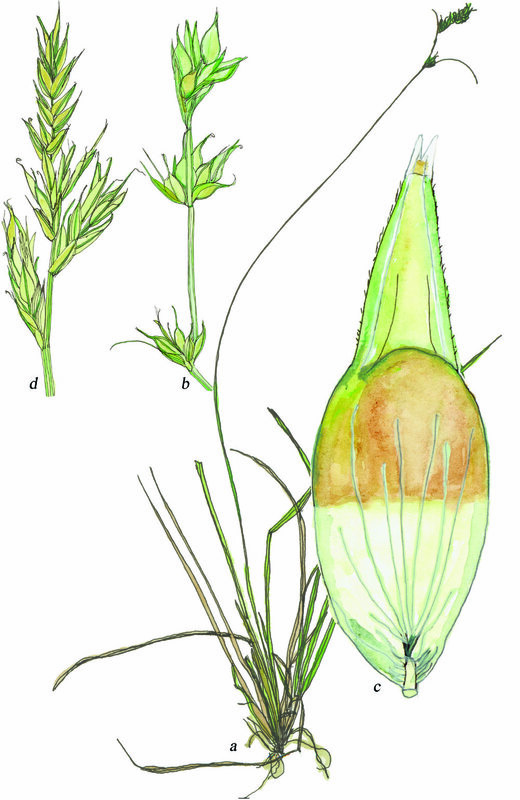 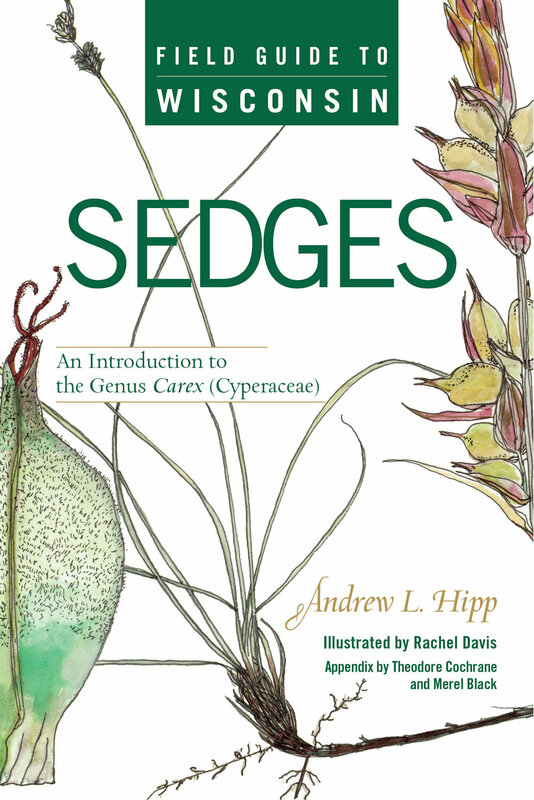 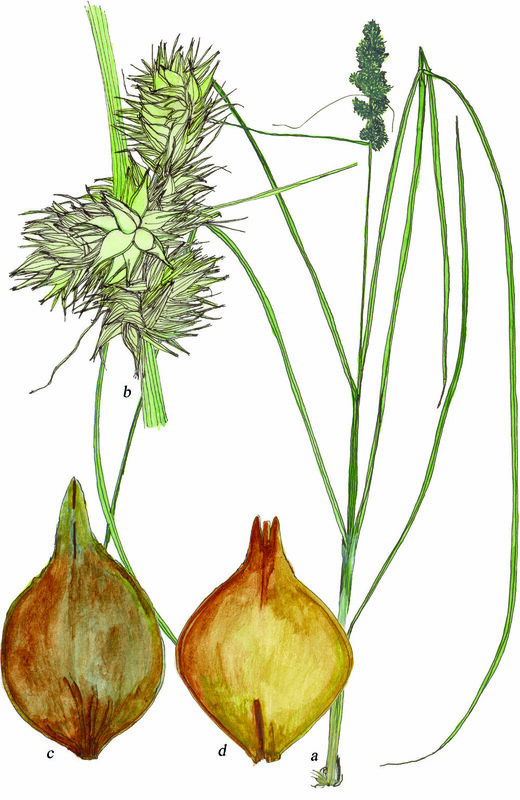 These are the illustrations for the book Field Guide to Wisconsin Sedges: An Introduction to the genus Carex, published by the University of Wisconsin Press. 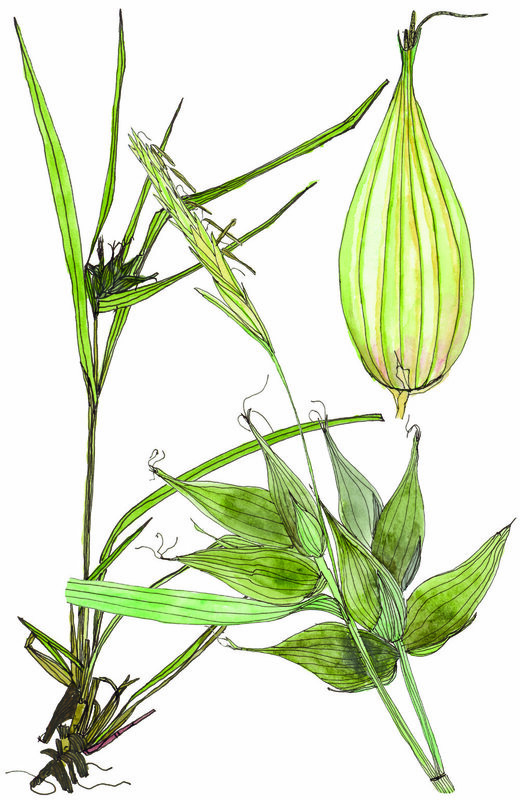 The drawings were made using pencil, watercolor, and ink. 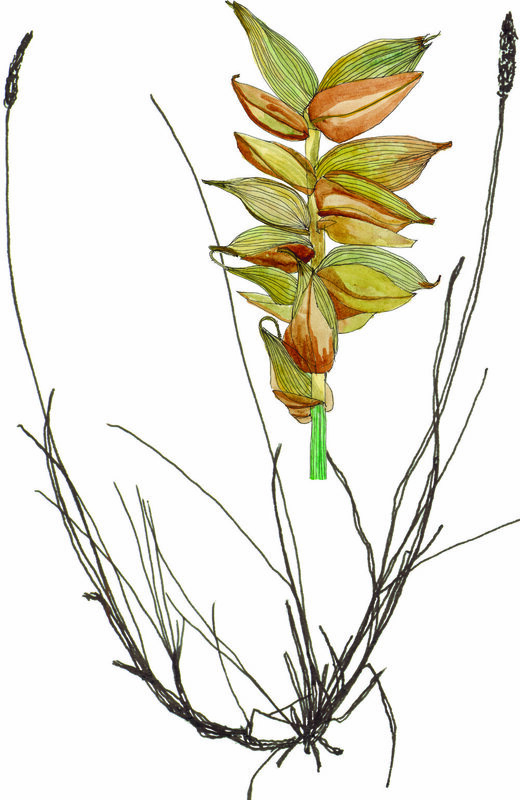 Each is based on herbarium sheets from the Wisconsin State Herbarium (Madison). 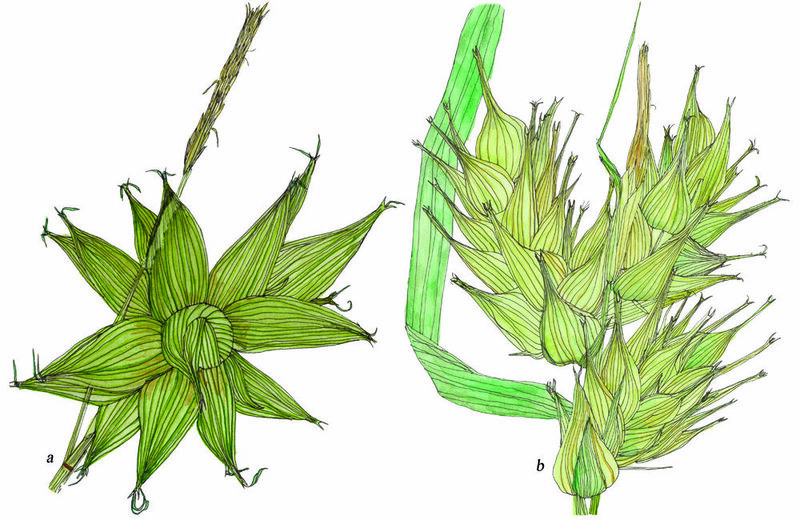 The inflorescence and perigynium drawings were almost all made using a microscope. 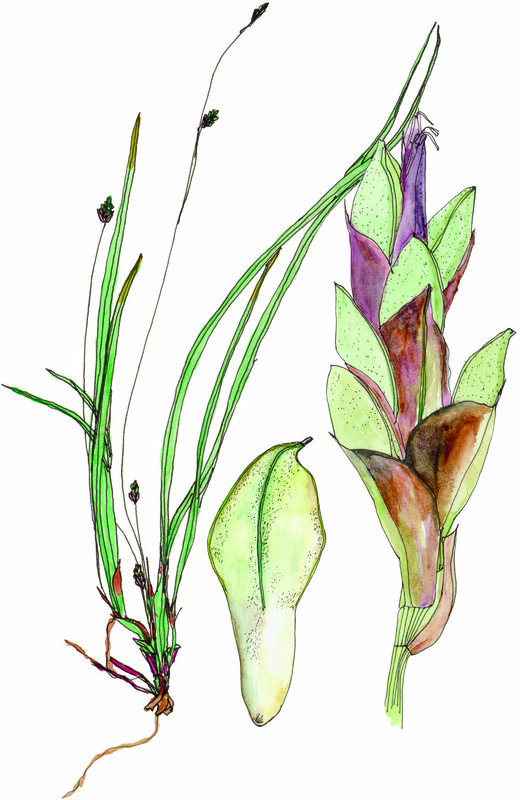 I was first introduced to these beautiful plants when my husband, Andrew Hipp began studying them in 1996. 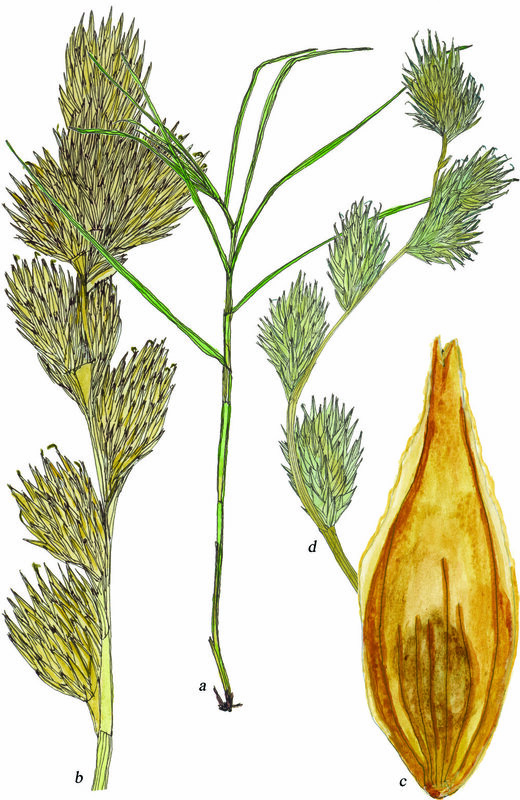 I came to recognize specific characteristics: the color of the scales surrounding the perigynium, the size and number of male spikes and the unique color and texture of the root base. 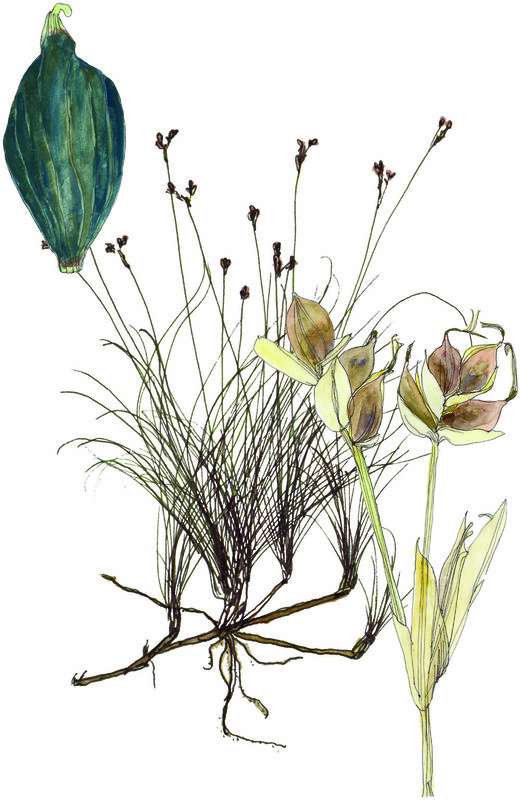 I was struck by the subtle differences in the shape of the perigynia, some egg-shaped, some elongated, some scooped like a bowl, others covered with little hairs. 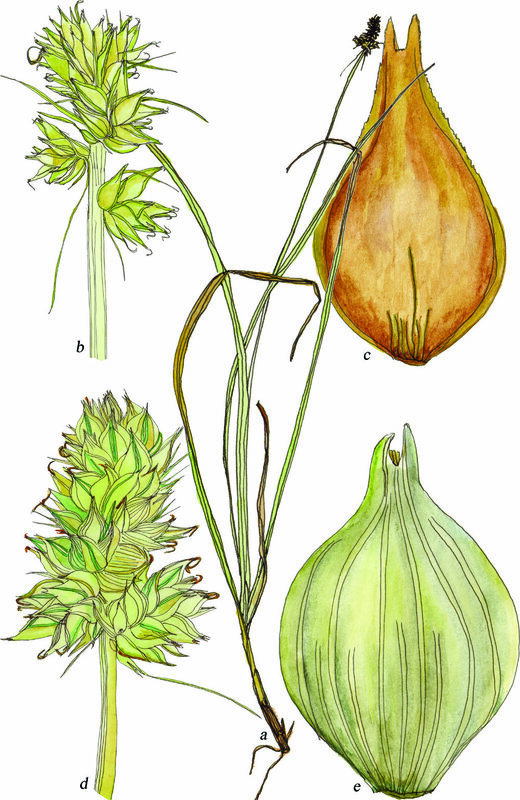 One experience I enjoyed most is seeing how parts of the plant fit together: it became a puzzle, only a specific shaped perigynium would fit into the scales of its inflorescence and the inflorescence would have to be drawn correctly so that the whole plant was accurately described. 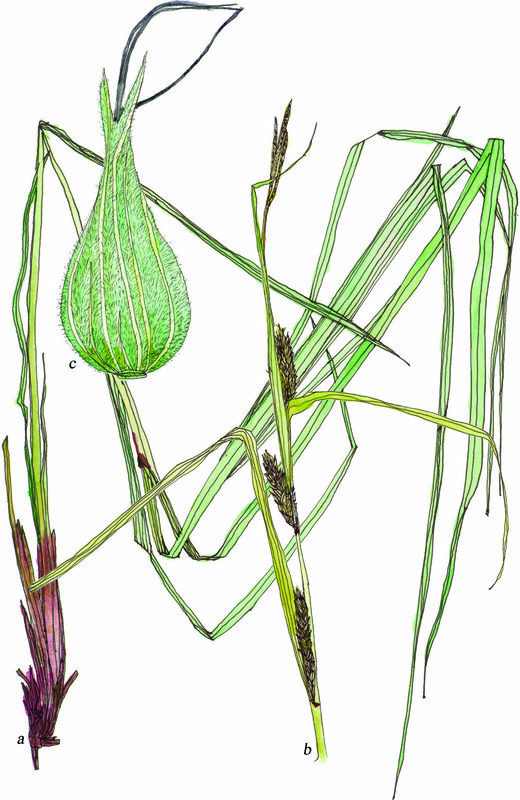 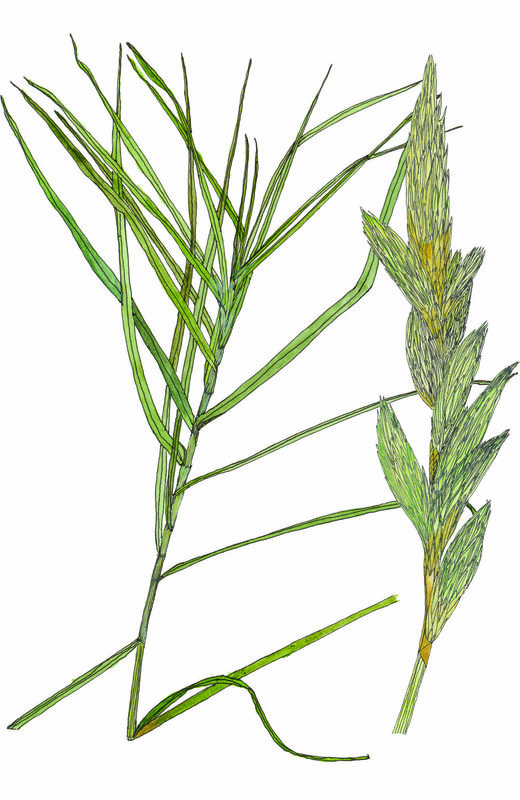 The action of studying each part of the sedge closely then drawing it, made it feel to me, like I was taking something apart and putting it back together again. 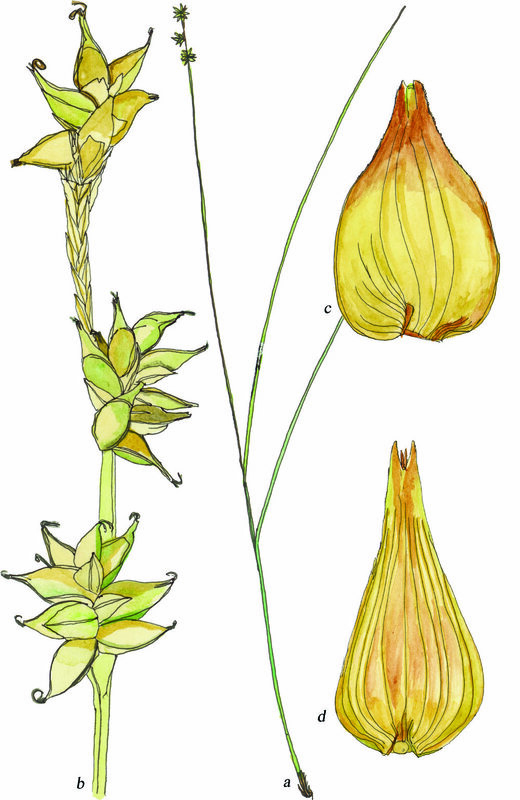 I am grateful to the University of Wisconsin Arboretum for the opportunity to study these lovely plants, without their support this project would not have been completed. 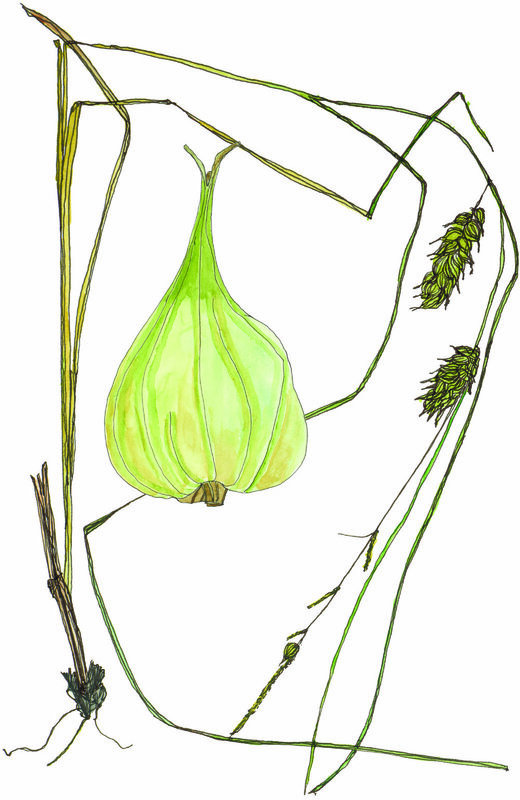 I am humbled by the studied and practiced drawings of botanical illustrators like Libby Zimmerman and Susan Reznicek. 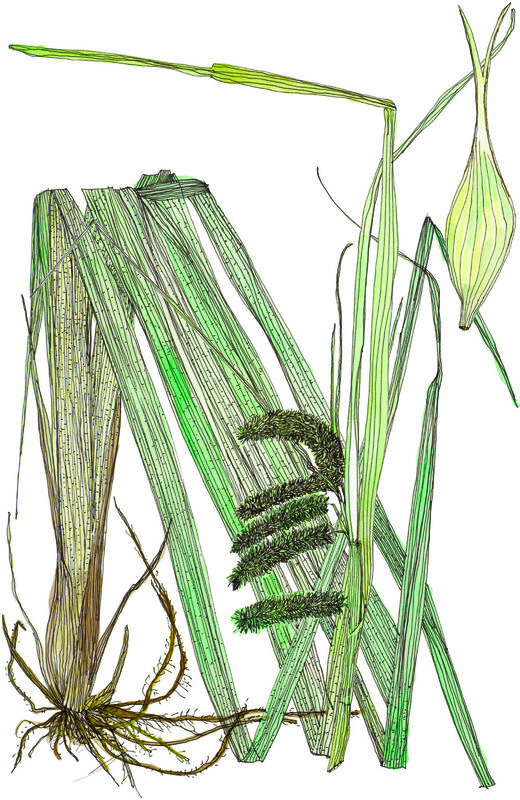 Their illustrations helped me to better understand the morphology of sedges.